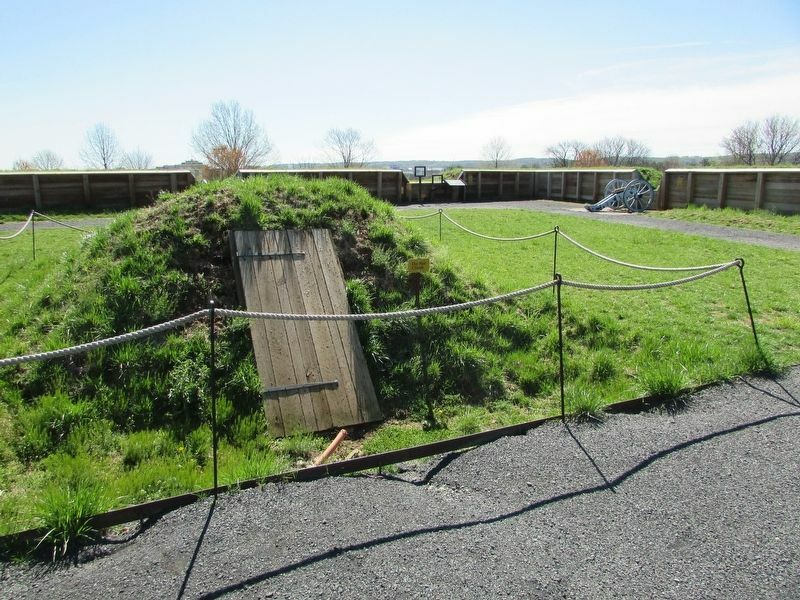 Soldiers constructed earthen fortifications called redoubts (French for a place of retreat). 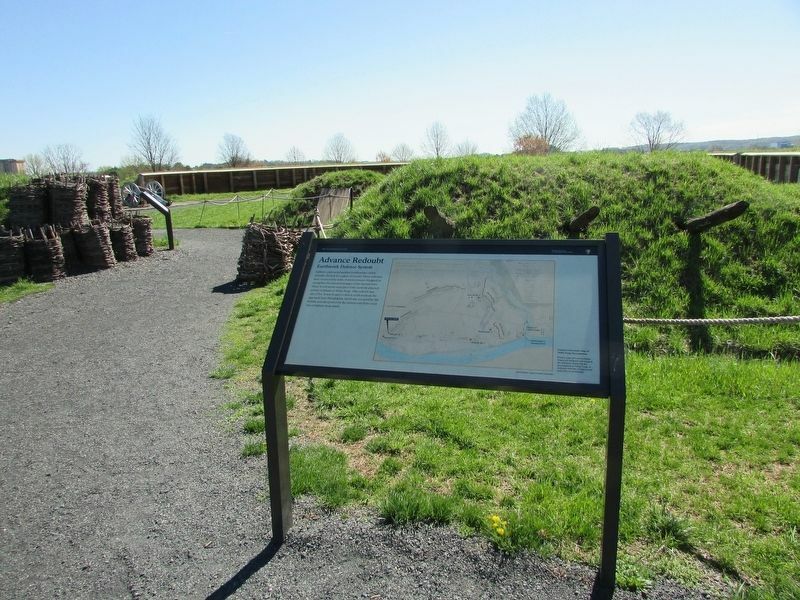 These redoubts were connected by miles of entrenchments designed to strengthen the natural advantages of the terrain here. 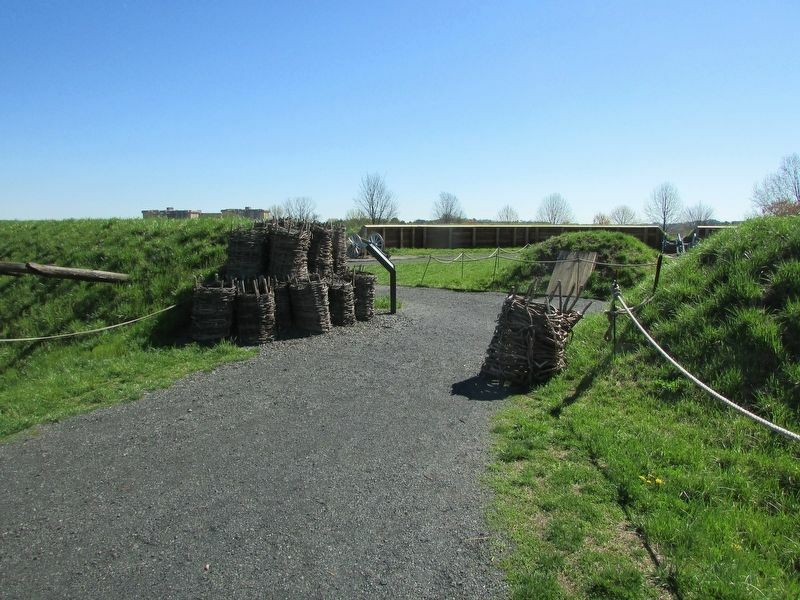 These fortifications were part of the carefully planned system of defense at Valley Forge. This redoubt was one of five. It was located so that it could overlook the approach from Philadelphia, which was occupied by the British, and also protect the far eastern end of the outer line of defense from attack. French General Louis Lebegue Duportail designed and mapped the defensive system for the encampment at Valley Forge. 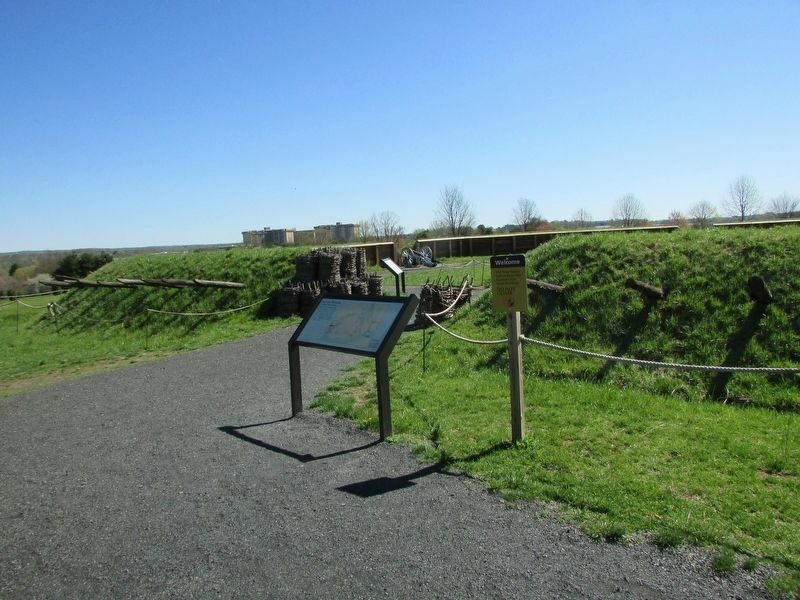 It included redoubts at high points and miles of earthworks. east. Touch for map. Marker is in Valley Forge National Historical Park at Stop 2 on the auto tour road. Marker is in this post office area: King of Prussia PA 19406, United States of America. Touch for directions. Other nearby markers. At least 8 other markers are within walking distance of this marker. Protection from Attack (a few steps from this marker); On the Lookout (a few steps from this marker); Are the British Coming? (within shouting distance of this marker); Greene’s Division (about 300 feet away, measured in a direct line); A City of Huts (about 500 feet away); Log City (about 500 feet away); a different marker also named Greene’s Division (about 600 feet away); Winter Encampment (about 600 feet away). Touch for a list and map of all markers in King of Prussia. More about this marker. 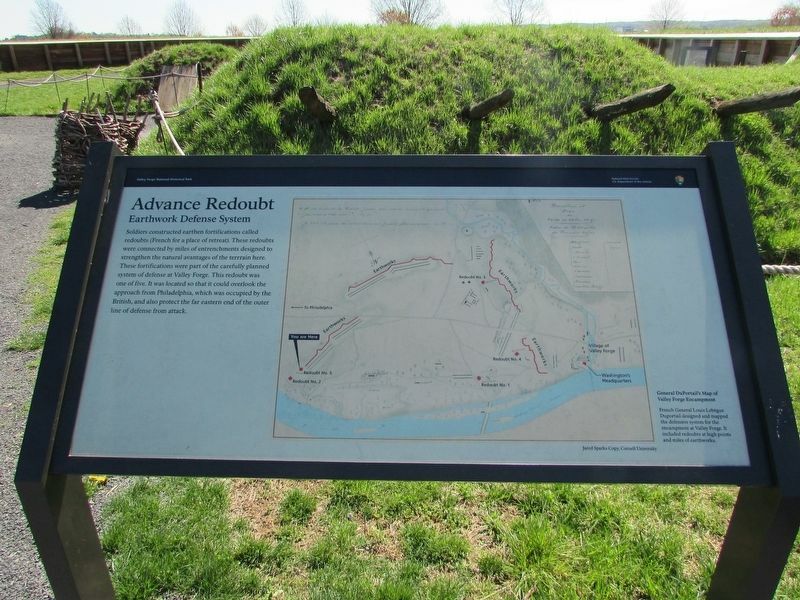 The marker features a map of the Valley Forge encampment, showing the locations of the fortifications including earthworks and redoubts, and Washington’s Headquarters. Map courtesy of Jared Sparks Copy, Cornell University. More. Search the internet for Advance Redoubt. Credits. This page was last revised on April 16, 2019. This page originally submitted on April 16, 2019, by Bill Coughlin of North Arlington, New Jersey. This page has been viewed 73 times since then. Photos: 1, 2, 3, 4, 5. submitted on April 16, 2019, by Bill Coughlin of North Arlington, New Jersey.